Shea Butter is ... FLEXIBLE, LUSTROUS, PROTECTS, MOISTURIZES, REVITALIZES, RELAXES. REFRESHES, MAINTAINS SKIN & HAIR MOISTURE. Shea Butter benefits to skin & hair are endless. The commercial method of extracting Shea Butter has also added to the perplexity of Shea Butter. 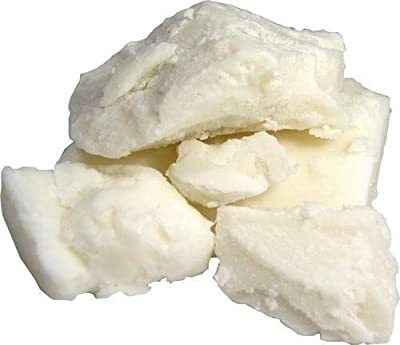 Shea Butter is used as an ingredient in soaps, shampoos, conditioners, hair relaxers, lotions, hand & body creams etc... There is nothing wrong with using Shea Butter as an ingredient as long as it is Unrefined Shea Butter and not processed or refined. If Shea Butter is added to products and the portions are generous along with other natural and/or organic ingredients, the product is good. However, when the Shea Butter is not listed as a RAW ingredient, and is listed as one of the last ingredients, it is not worth buying. Unfortunately, many companies will use Shea Butter to market their products using scarce amounts of Shea Butter which may ultimately be refined and/or processed. Processing/refining Raw Shea Butter takes away it's natural healing properties. It is important to preserve the ancient methods of Shea Butter by using it in its RAW state rather than processed. UNREFINED COLOR - because Unrefined Shea Butter is extracted traditionally or cold pressed, the color may vary between light grey, ivory/almond pale and light yellow. The color of Unrefined Shea Butter depends on the Shea Nut itself. Due to the nature of the nuts, the color of Unrefined Shea Butter may vary. Light to medium yellow colored Shea Butter has a root extract added to it, not palm/palm kernal oil ( this is added by sellers for show) One cannot judge the quality and authenticity of Unrefined Shea Butter solely based on color. Texture and quality is imperative when purchasing/using Shea Butter. Try not to base your knowledge of Shea Butter by color first. Look at quality and natural smoky nutty scent. Skin Beauty Essentials Unrefined Shea Butter is...naturally rich in a number of vitamins. Vitamins A, E, F and K are the most popular. Vitamin E balances and normalizes the skin. Helps keep it clear and healthy, particularly beneficial for dry or sun-exposed skin. Vitamin A has soothing and hydrating properties which provides healthy skin collagen in order to prevent premature wrinkles, premature facial lines and premature slackened skin. Vitamin F - Acts as a skin protector and revitalizer. It soothes rough, dry or chapped skin on contact and helps soften and revitalize dry or damaged hair. Vitamin F consists of linoleic, linolenic and arachidonic acids, the three essential fatty acids.